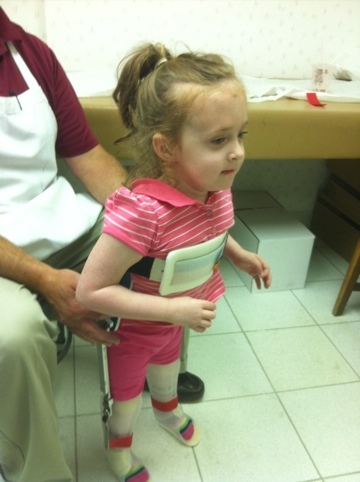 Here’s to all the doctors who said she’d never stand and walk. She’s having fun proving you wrong. This entry was posted in Real Life and tagged baby tank. Bookmark the permalink. She was so excited. And determined. Had this look on her face like she was a Super Bowl QB. That’s awesome. I saw the pics on facebook. Very very cool.